12 Jan The Accumulation Trap: Why You Must Keep your Money Moving! I want my money to be like a river, not like a pond. We’re tired of “investing” being equated with the stock market/ mutual funds! Wall Street ISN’T the only choice when it comes to investing! Accumulation DOESN’T equal success and riches! This way of thinking is faulty in many ways. For example: the notion that collecting cash ought to be our primary financial target or goal. Accumulation is the end goal for the majority of investors. Everybody wants to have enough cash, though there’s much disagreement about how much is “enough.” People work hard to collect enough cash that will allow them not to worry about money again – or at a minimum guarantee them that they will not need to move in with their adult children! But we have grown to believe that the “accumulate now and spend later” thinking is flawed. Why? First, because it relies on conjecture and guesswork. However, just how do you determine if you will have “enough” money? Well, traditional financial planning relies heavily on sound mathematical formulas… using numbers that are purely based on conjecture, generalization, extrapolation, and GUESSWORK! Can you see the problem with this!? Secondly, because CASH FLOW is what we really live on. As a matter of fact, a lot of people are FRIGHTENED to spend their principal! We see this all of the time – individuals collect countless amounts of money, but are scared to MAKE USE OF it! However, the fact remains, it does not matter how you save, or how much you make, how much you keep – it just matters how much you are able to SPEND after you’ve saved it and earned it! If the underlying reason for accumulating money was to provide for later income, then why not focus on ways to increase your cash flow? But conventional preparation TELLS us to roll up the largest potential heap of cash – cash that isn’t under our control and then we are told not to spend! So, as a result we work as hard as we can to contribute to a 401(k), IRA, taxable brokerage account, or a 529 plan. These accounts are such that we can only use them for a restricted number of purposes, and only at certain times. Accounts we can’t touch without paying taxes, penalties, and countless fees. In the meantime the government profits of off our accumulation accounts. They tax it, leverage it, collect it, and send us a quarterly report to let us know the current state of how our money is doing. In fact, the government may even claim a percentage of your accumulated money when you die. Third, accumulation is not a powerful or an effective wealth-building strategy. 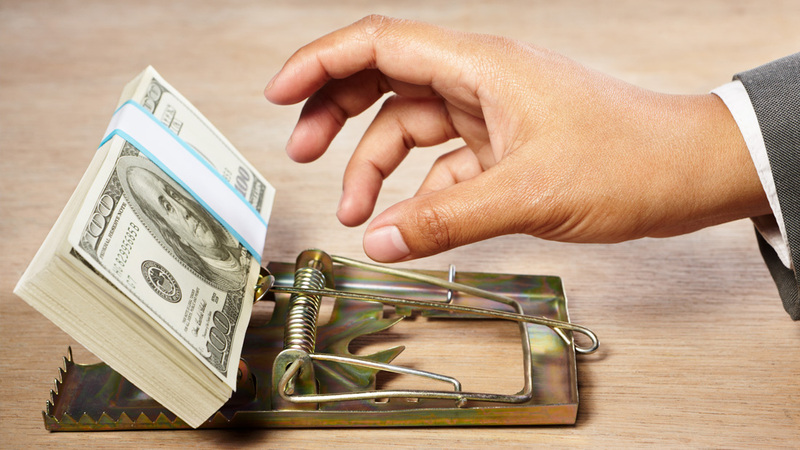 It keeps our cash stuck, trapped, and ineffective… So, what is the better choice? Transfer your cash THROUGH your assets, not only just TO them! Cash is very similar to liquid water. When it sits it becomes stagnate. It goes to waste and becomes unproductive and useless. Think of your money like water – you need to maintain it’s health by keeping it flowing and going!PROSPERITY depends on the movement of money. Perhaps you are aware that consumer spending – or the movement of cash – is what drives our economy. But we are not trained to transfer cash in our private/personal economies, instead we are instructed to collect it and allow it to sit in numerous types of accounts, some of these accounts never being used for most of your whole life! Smart business owners and bankers understand the best way to keep cash is to keep it in motion. Banks use cash to invest and to make loans to companies and people. Corporations use cash to perhaps purchase new companies and to grow into new markets. Informed small business owners put it to use by growing their companies and to buying new equipment. Of course, banks USE it, leverage it and multiply it, and generate enormous profits… much higher than what we imagine. Cash that is moving may increase the speed with which it can be used as a wealth building tool. Whole Life Insurance or Income Producing Real Estate are two examples of how to accomplish this. Do you want to purchase raw land or buy a rental property? The rental property is a great way to provide you with income and may increase also increase in value. When you’re in the market again for a new car, consider using cash from your Whole Life account, either by borrowing from the insurance company or using the cash-value as collateral. It’s a win-win. You get the car and you preserve the ability of your savings to keep working for you. It is possible to let money “sit” and pile up in your cash value account and create secure, steady, but small growth. However, the key to quickly building wealth is to USE your MONEY! Find reputable investments to create “solid” yields, pay off or avoid using high interest charge cards or equipment loans, place a down payment on second house that you can convert into rental income. 1. Diversify to Build Wealth Safely. It’s possible for you to diversify into assets that may have value in almost any market. Ownership, not accumulation is the basis for future success and prosperity. 2. Grow your assets. Use cash or equity from one asset to buy another. 4. Control Your Money. Prosperity isn’t measured by how much money you have but instead the FREEDOM you have with your money. Is your money merely accumulating in a cash value account somewhere or hiding under your mattress? If so, contact us to learn if how we can help you to make great use of your money to quickly build you sustainable wealth. By following the 7 Principles of Empowered Economics™ you can gain greater financial confidence on your way to prosperity. Material discussed is meant for general informational purposes only and although the information has been gathered from sources believed to be reliable, please note that individual situations can vary. Therefore, the information should be relied upon only when coordinated with individual professional advice. Guardian, its subsidiaries, agents, and employees do not provide tax, legal, or accounting advice. Consult your tax, legal, or accounting professional regarding your individual situation. This material contains the current opinions of the author but not necessarily those of Guardian, its subsidiaries, agents or employees and such opinions are subject to change without notice.